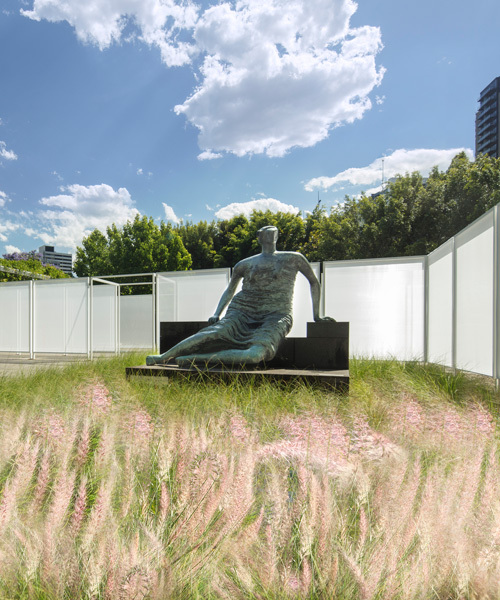 coinciding with the national gallery of victoria triennial — an event which has seen ron mueck stack 100 sculpted skulls and team lab transform a room into ocean vortices — a commissioned architectural installation has taken shape in the institution’s gardens. 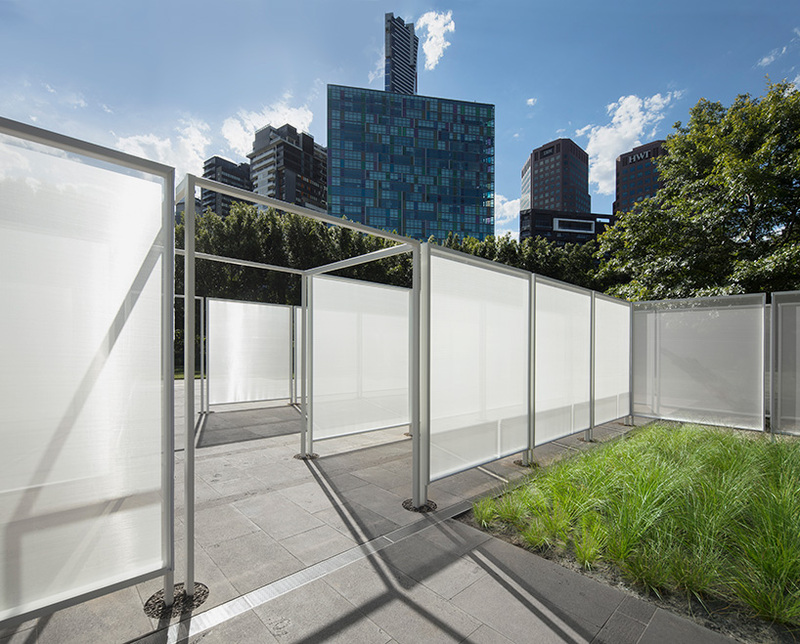 retallack thompson and other architects have turned the NGV’s outdoor areas into a spatial sequence of light-filled, maze-like labyrinths, hallways and rooms. 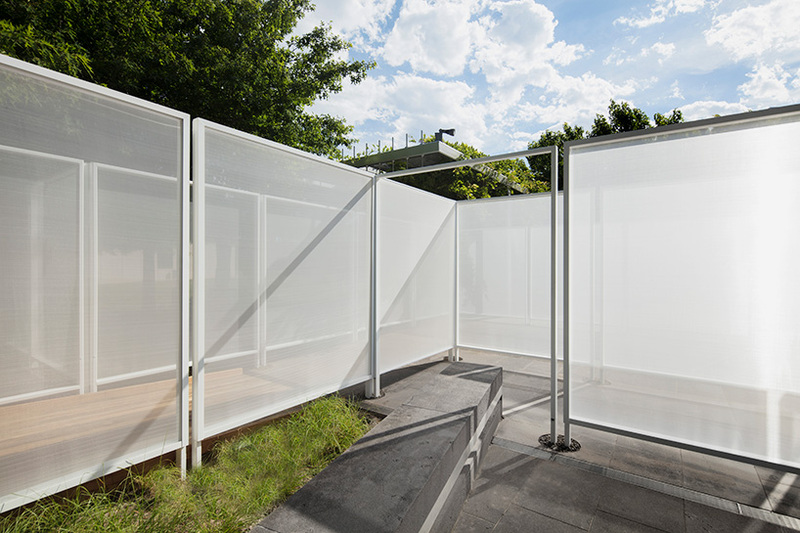 ‘garden wall’ comprises 119 white walls clad in a transparent woven mesh that shift from translucent to opaque depending on the time of day or vantage point. 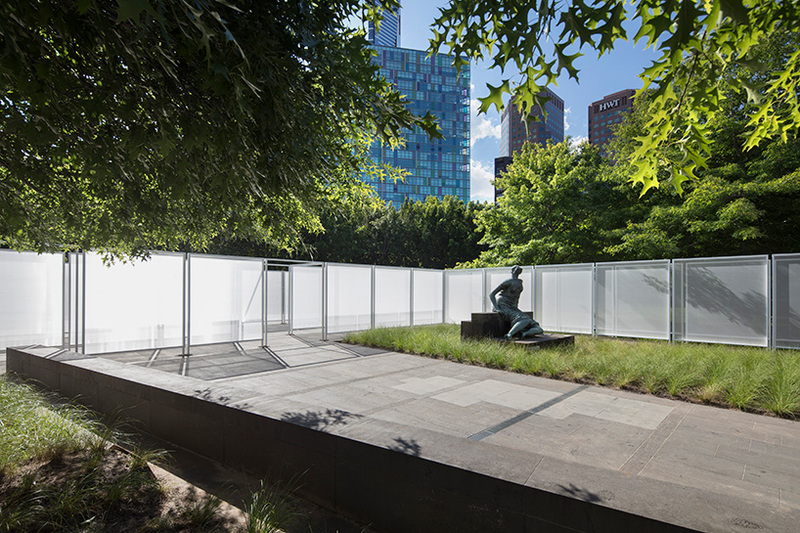 retallack thompson and other architects designed ‘garden wall’ to challenge the mythology of the open australian landscape, dividing it into a navigable space. 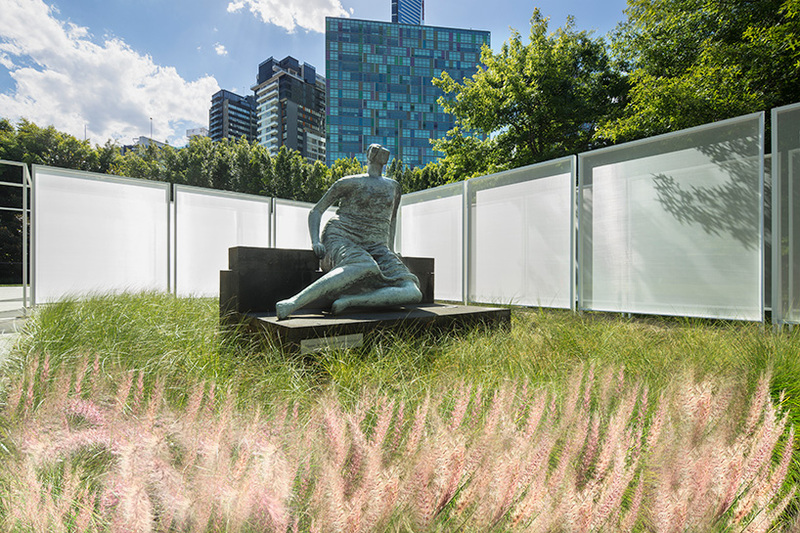 each room is configured to frame different aspects of the surrounding environment, first hiding, then gradually revealing highlights of the NGV garden. 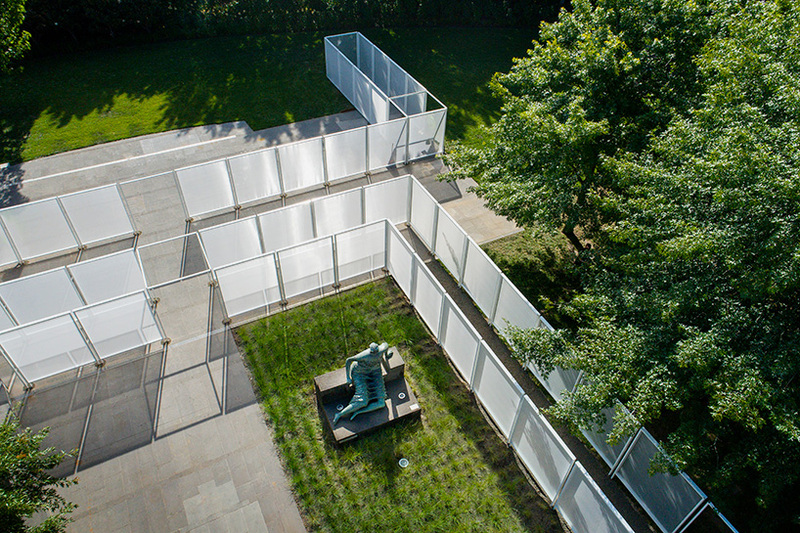 encounters with sculpture, furniture, and trees are enhanced and elaborated on as visitors make their way through the labyrinth. 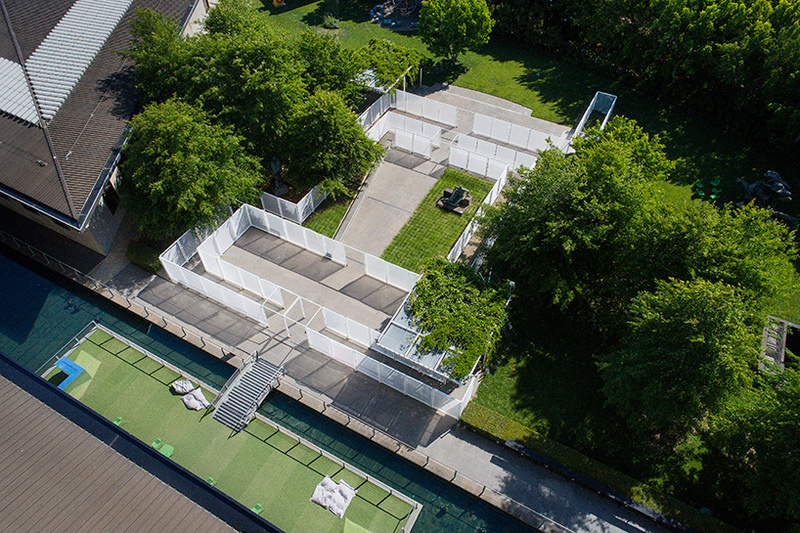 conceptually, the installation investigates barriers fond within the contemporary urban landscape, drawing from western australia’s rabbit-proof fence and generic suburban fencing that separates neighbors. 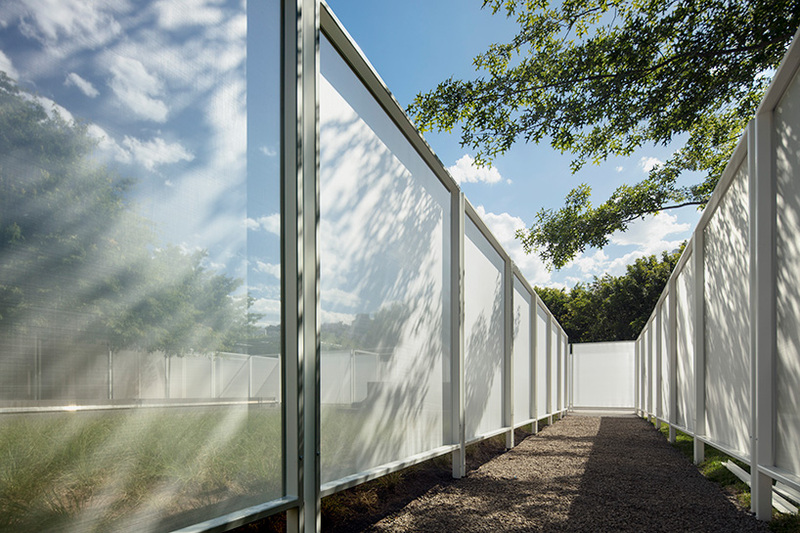 ‘garden wall’ seeks to invite audiences to contemplate the symbolism of borders as architectural elements. 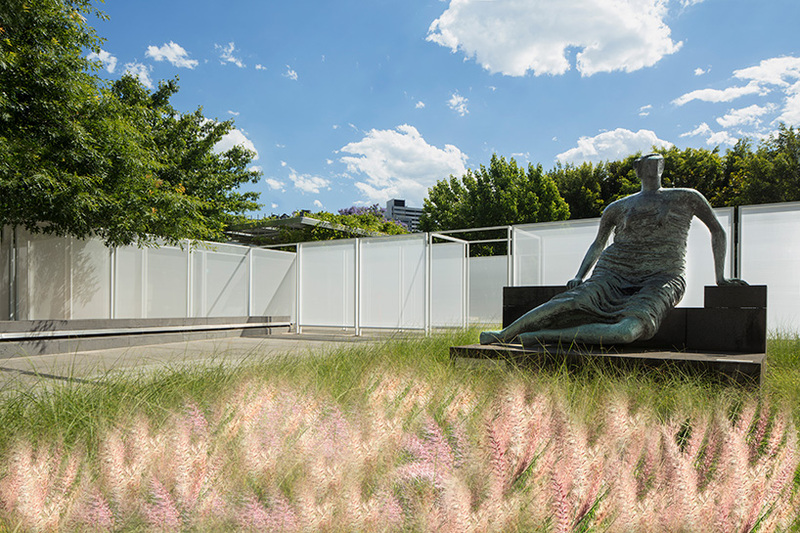 the 2017 NGV architecture commission coincides with the NGV triennial running from now through april 15, 2018.